Dzubay is a master of the post modern baroque. His sense of color sets him apart from most contemporary chamber music composers; more mother-of-pearl than beige. His work is filled with contrasting textures, moods, and unexpected chromatic twists. Dzubay's world marries poetry to music in subtle, rich ways. Blake, Dickinson, Sappho, Tennyson and Whitman all share space at the communal table in his piece "Singing in the Sun" whereas "Dancesing in a Green Bay" reflects the lowercase spaciousness of E.E. Cummings' poetry. This is literary music that paints watercolors on the subconscious and draws the listener in to new worlds beyond the chamber hall. David Dzubay has taught at Bloomington, Indiana, and the University of North Texas. His works on this CD are intelligently and artfully performed by the Southwest's premiere chamber ensemble, Voices of Change, directed by Jo Boatright. 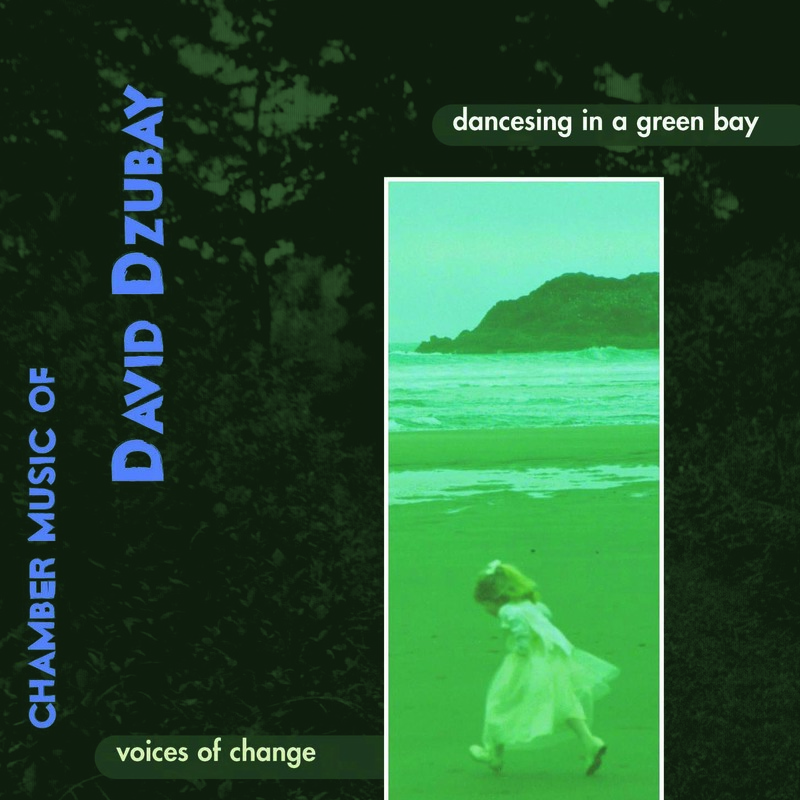 Mr. Dzubay writes in an eclectic style, which is essentially tonal, but which raids atonal techniques when they suit the work's thrust. This is foreground music. It commands attention. It's also extremely well-written. Dzubay....has a vivid imagination. He also knows how to translate his imaginings into bright, unusual orchestral sound.